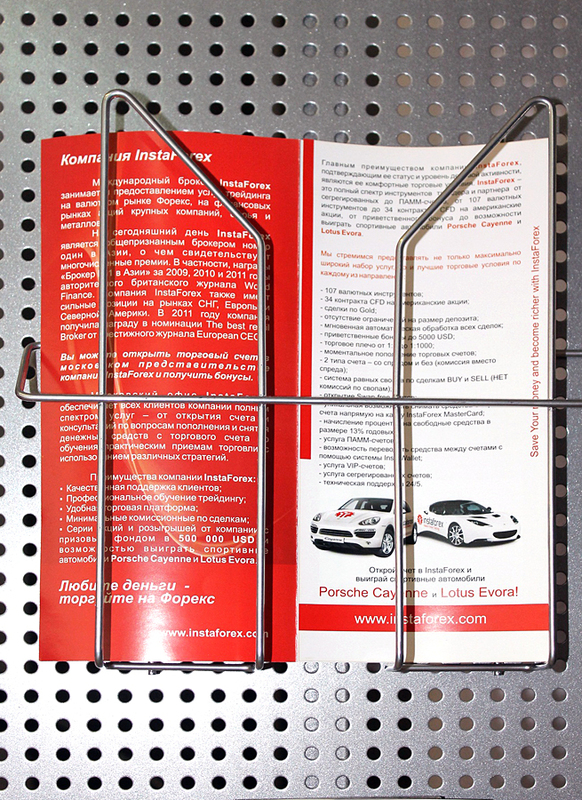 We advise our partners to use promotional leaflets to attract new clients. 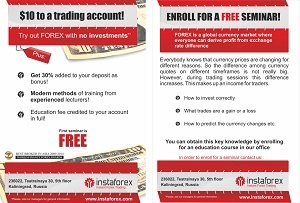 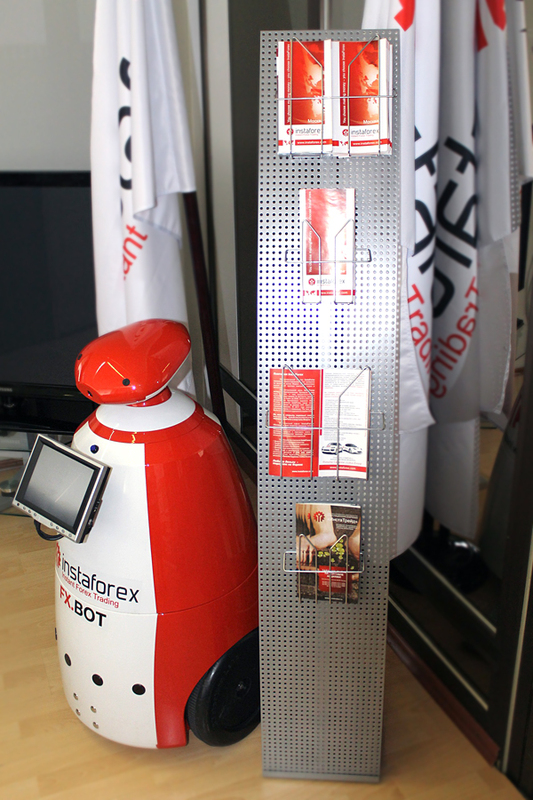 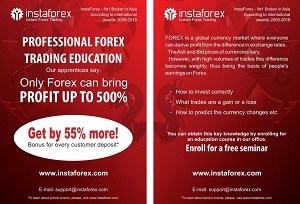 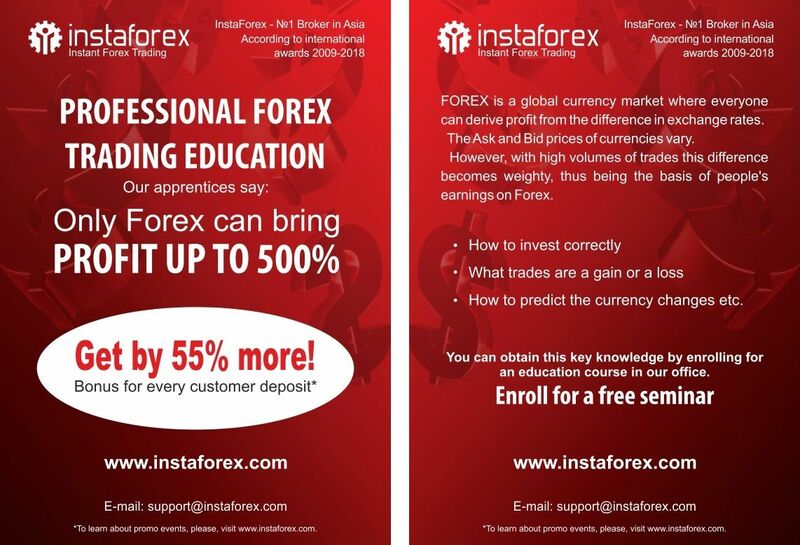 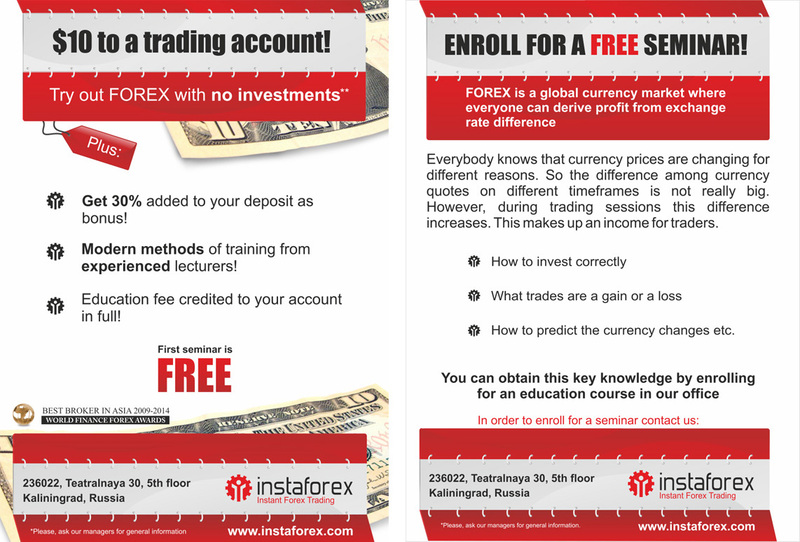 For example, when designing an office in InstaForex corporate style, partners can use promotional materials and exhibition fliers. 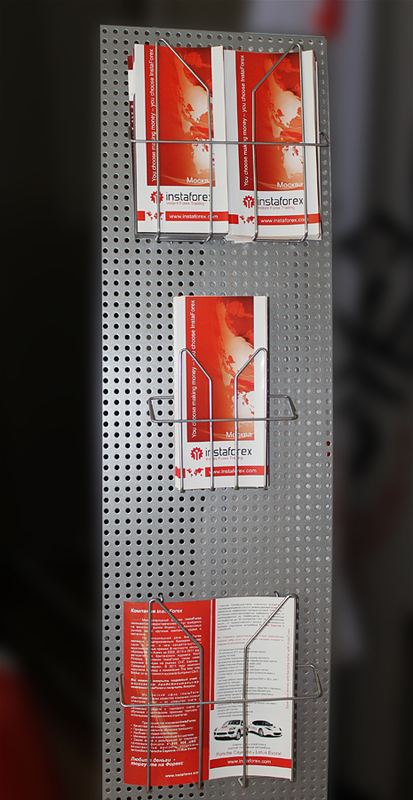 Printing promo materials does not require big expenses, but a partner will benefit greatly from them.